I spent my 11th wedding anniversary planning my husband's funeral. If I could just figure out how to make that rhyme, it would be the beginning of a great country song. Involuntarily single. That's the true story of where Catherine Tidd finds herself just three weeks after turning thirty-one. Widowed with three children under six years old, a rusty resume, no fix-it skills, and no clue how to live life as a widow, Catherine can't help but be a little exasperated with her dead husband for leaving her to deal with life on her own. Catherine's now in charge of her life in a way she never wanted to be, in a way that would have most of us reeling and numb. But she soon realizes that when you call the shots, you can make pedicures one of the stages of grief--and that moving forward might be more fun in a new sports car. 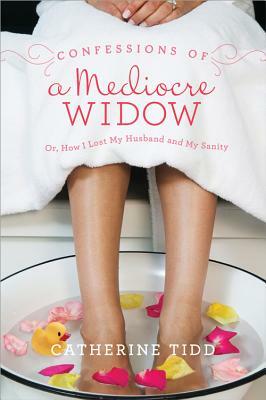 Her honest Confessions of a Mediocre Widow is a glimpse into the heartbreaking and sometimes humorous world of a young woman who learns that it is possible to find joy in an unexpected life.